Which?, the consumer rights champion, is focusing on some of its most important campaign victories from the past 60 years, in new branding advertisements created by Grey London. 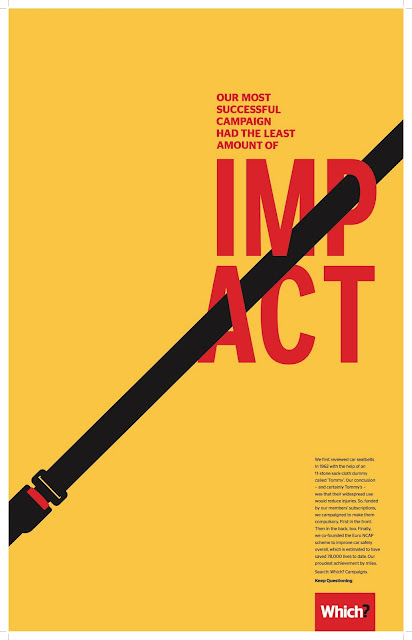 The ‘Making change happen’ campaign is running across a series of print and social media ads. The agency was briefed to demonstrate the impact Which? has had on our lives since it was founded, and to rally support for current campaigns. This is the first time the organisation has put significant advertising spend specifically to raise public awareness about their role as a campaigner. Various executions highlight how historically Which? successfully campaigned for the introduction of seatbelts in cars and for lead paint to be banned in children’s toys. There is also an execution highlighting a new Which? campaign urging consumers to share their train pain and reveal the true, human cost of delayed trains. This evidence will be used by Which? 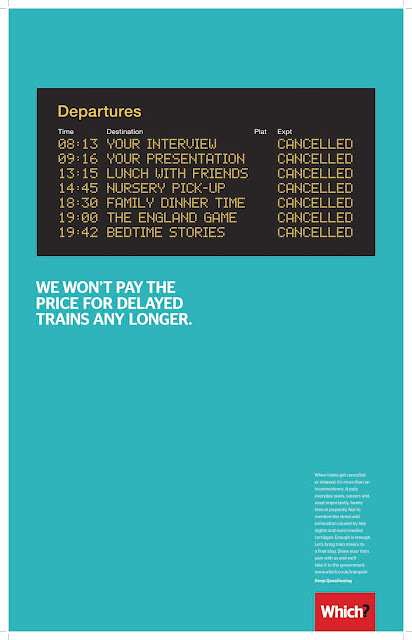 to put pressure on the Government to force improvements and hold rail companies to account. 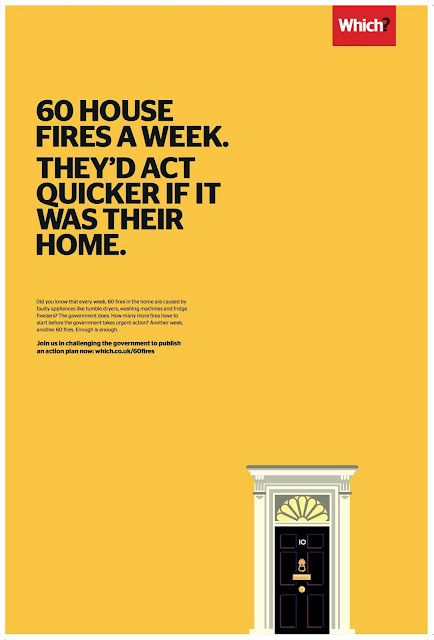 The ads are part of a wider campaign which launched earlier this year, with the first execution calling for action on dangerous appliances that could cause house fires. The copy-rich ads highlight the philosophy that has guided Which? 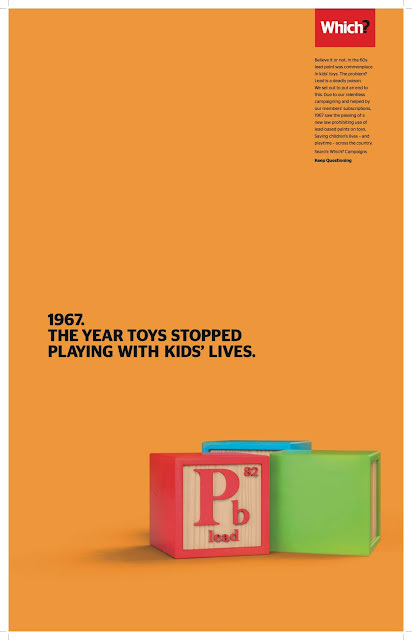 since 1957: ‘Keep Questioning’, with regard to products and any issues that affect consumers. Nick Rowland from Grey London says: “It’s amazing to be able to work with a brand that has such a massive impact on people and society. We’re relishing the opportunity to help Which? reclaim their rightful place in British culture as a force for positive change. The campaign breaks on Saturday 30 June. Media is by MC&C. Client: Sarah Threadgould, Group Marketing Director, Which? and Laura Money, Senior Brand Manager, Which? Art director: Terry O’Neill, Matthew Kennedy, Nathan Holley, John Gibson. 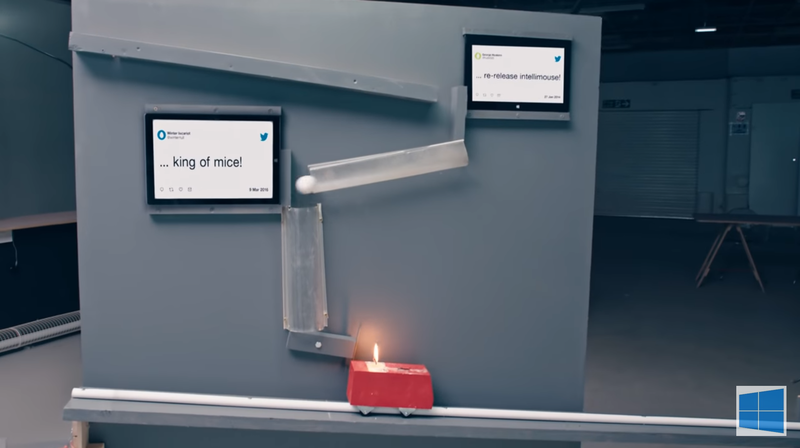 Brave Spark, in partnership with Exposure, ambitiously produced a Rube Goldberg machine for Microsoft to promote their new Classic IntelliMouse aimed at PC gamers. Enlisting magic model maker Alex Berchert to build the machine, Roisin Moloney to direct & produce and Keidrych Wasley for lighting design - the shoot took place inside The Biscuit Factory in London only a short week ago. Taking over a 5000 square foot warehouse floor to prepare the machine for a single Steadicam shot that would capture it all, relying on physics and a bit of luck, with a couple of false starts - the shot was pulled off on the 31st take. The machine reminisced on the evolution of gaming, beginning in 2003 with the Microsoft IntelliMouse Explorer 3.0 and bringing the viewer on a journey with hidden gaming & pop culture ‘Easter Eggs’ along the way we finally reach present day entering a doorway lined with Microsoft Surface Book 2 showcasing the latest PC games – we enter darkness and then fade up to reveal the new Classic IntelliMouse in 2018 – a legend reborn. Contraptions included everything from cascading disks, a Helter Skelter, Age of Empires Castle and a cannon that was set alight to initiate the finale featuring a bowling ball carefully tested to bounce across three trampolines finally landing on a target showing the Microsoft logo. Airstream has been making its instantly recognizable brand of travel trailers with their distinctive rounded shape and polished aluminum look since the 1930s. With their new fiberglass travel trailer, Nest, Airstream explored a new market while pushing the design envelope. The compact, easy-to-tow Nest is unlike anything else in the travel trailer world, necessitating a suitably creative marketing approach. 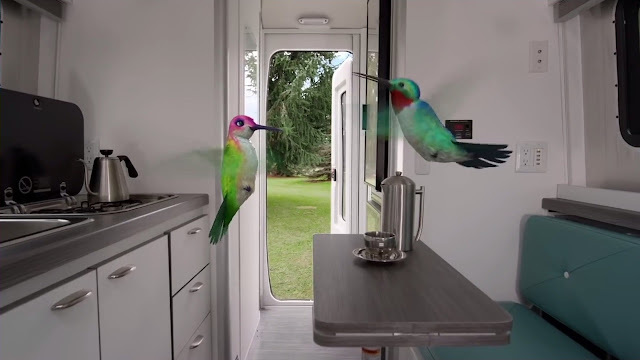 Airstream and its creative agency Upward Brand Interactions, Dayton, OH, turned to Calabash to create a pair of animated hummingbird characters named Gigi and Dave that serve as tour guides in the new online campaign. The spots, which are the second iteration of the “Feel Like a Million” campaign, will run across broadcast, social and radio. It will target general Ohioans, from millennials to seniors who are already lottery players, but also those are who not, with a focus on showing them how smallers, better chance wins can positively affect them.